Help Captain Jack Sparrow pilot the Black Pearl. The reputation of you and your crew is not particularly well, so the coastal towns will not be too friendly when your ship enters the bay. Fight your way through the defenses and collect additional booty as you go. Reach the end of the level, destroying as much enemy units as you can. Collect coins for a bonus. A remixed version of a top-down jetfighter game with a pirate ship and cannon towers. You need to get to the end of the level destroying as many enemy units on your way as possible. • Pick up bonuses and health pricks - they are going to help you on your mission. The Ship is controlled by the arrow keys: left, right, up and down, or keys W, A, S & D.
Use the mouse cursor to aim. Use left mouse key to fire. If you want to play Captain Jack Adventure! Pirates games online you have come to the right place! GamesLoon adds new Captain Jack Adventure! Pirates games every week. 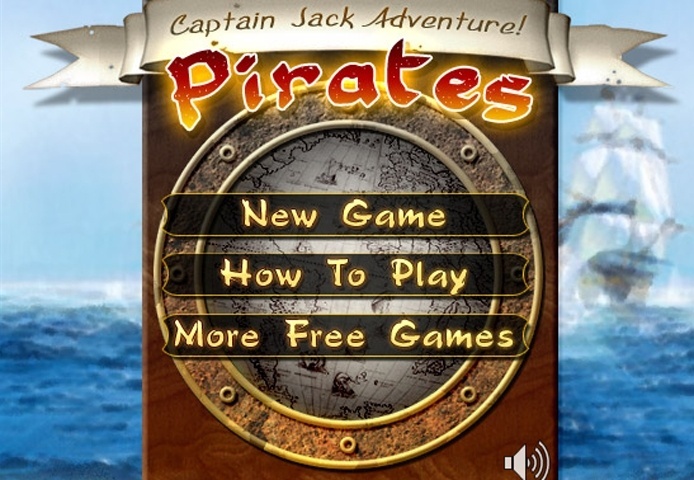 This is your game portal where you can find the biggest collection of free Captain Jack Adventure! Pirates games online. Do not forget to rate our Captain Jack Adventure! Pirates free online games while playing!